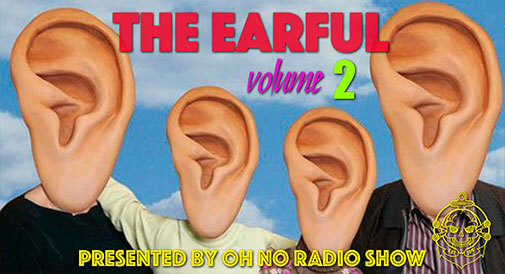 Welcome everyone to THE EARFUL, a delicious piece of new content from the minds over at the OH NO RADIO SHOW. This bonus show will feature a countdown of songs we have been enjoying within our ONRS community giving you all a taste of musical variety and maybe even turning you onto to something you'll like! We hope to do these shows often and would love your feedback and input as well on what we should be listening to. So let's roll out volume 2! RIP - founding member and Keyboardist Toby Smith who died recorded the band's first 5 albums between 1992 and 2002 was a pinnacle addition to the groups sound. Cold Beat is Hannah Lew, bassist and co-songwriter of the band Grass Widow. It’s the fully expressed voice and emotions of one person, versus the harmonic and lock-step declarations of three women. All Them Witches are an American rock band from Nashville, Tennessee. The band consists of drummer Robby Staebler, vocalist, bassist, and guitarist Charles Michael Parks, Jr., guitarist Ben McLeod, and keyboardist and violinist Allan Van Cleave. Speedometer has been at the forefront of the British funk scene since 1999. Acknowledged for their authentic 70s sound live shows, they mix funk, latin and soul from all over the world. Daniel Dewan Sewell, better known by his stage name Danny Brown, is an American hip hop recording artist from Detroit, Michigan. Tom’s Pick - Billy Ocean - “When the Going Gets Tough, the Tough Get Going” from 1985’s LOVE ZONE - featured in 1986’s The Jewel of the Nile. “The music video alone is pure 80’s GOLD. Danny Devito Saxophone Solo - Yes Please!" First album to feature his backing band The Revolution, It was released on June 25, 1984. To date, it has sold over 22 million copies worldwide, making it the sixth-best-selling soundtrack album of all time. Stay tuned for future episode of OH NO RADIO SHOW's THE EARFUL and make sure to check out these artists online if you liked any of the tracks you heard on today's show. Also if there are songs, artists or albums you think we should be listening to please leave them in the comments! This entry was posted on Monday, April 24th, 2017 at 9:44 am	and is filed under , , , , , , , orlando, podcast, oh no radio show, the earful, music, the brand new heavies.